With the attention span of the reader gradually decreasing, Penguin Books has found a win-win solution for all. 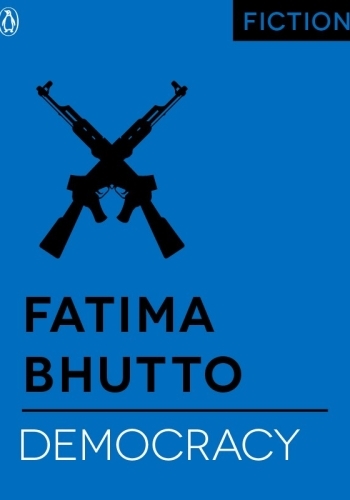 In its new offering of e-Singles is Democracy, a racy short story by Fatima Bhutto dramatising an incident in the political world of Pakistan. Intense, gripping and almost subjecting the reader to a climactic drum roll (or maybe that’s just the influence of a weekend screening of Whiplash), Democracy packs a punch. Here’s the emphatic author telling Verve about the story, writing influences and the coup of the digital world over print. 1. Where did Democracy come from? It began with the idea of the Brigadier – a man involved in his own very personal drama being called up to storm an airport ahead of a coup d’etat. It’s a political story, but a funny one I hope…. 2. Are any of the characters inspired by real life? If so, to what extent? All the characters are fictional though the event is based on real life – the 1999 coup of General Pervez Musharraf. 3. Do you prefer writing novels or short stories? I love fiction – just as with reading it, the form doesn’t matter. Fiction itself, in any shape or format, is enjoyable and exciting to me. 4. How much does your country of birth impact your writing? The country of my birth is Afghanistan. I was born in Kabul. I grew up in Damascus and was 11 when my family returned to Pakistan. So far what I have written reflects a rootlessness, a searching that comes with such a childhood more than any one place. Pakistan certainly impacts my writing, in many ways it’s a character in a lot of my work. Sometimes it’s been a loud and present character and sometimes it’s just a shadow. 5. Spending your childhood in multiple places – has that made any difference to you, as an author? Yes certainly, it opens your eyes to the world. Your perspective is always shifting and questioning your environment. Belonging is something that I have touched upon in my writing, as well as the constant struggle with the idea of ‘home’. 6. What’s one genre that you are waiting to try and one that you would never touch? That’s a good question. I just read two long poems written as novels – Soon by Alba Arikha and The Broken Word by Adam Foulds. That might be interesting to try. I’m not sure there’s a genre I would never touch…though I’m probably not going to do science fiction any time soon. 7. What are the challenges of being a female writer today? Writing is an exercise in freedom for me, it’s a space where I feel most free. But being a young woman in our part of the world, or perhaps any part, is difficult. There are always people lined up to tell you, ‘no’ – ‘no, don’t say that’, ‘no, don’t do that’, ‘no, don’t think that’. I don’t know if it’s particular to women writers but I hate the idea that people try to limit expression and dictate the kind of things one should and shouldn’t say. 8. Who are some of the contemporary authors from your country whose writing you admire? Any others? There are so many great Pakistani writers – Mohammad Hanif, Bilal Tanweer, of course Kamila Shamsie, and so many others. It’s very inspiring to see how much brave writing is coming from Pakistan and from South Asia. I am an eternal Jerry Pinto fan after reading Em and the Big Hoom. Romesh Gunesekera is another great writer — I did a talk with him at the Singapore Literature Festival and laughed non-stop. 9. With this new format of storytelling, do you see the digital medium taking over print? I hope not – I like both. I love books that you can touch and feel (and love bookstores) but I also love the ability to access books wherever I am and to be able to carry whole libraries with me. I hope they will exist and thrive side by side.